We match each Loran Scholar with a trusted Canadian leader for a four-year mentoring relationship. Our mentors introduce scholars to their new community, provide them with advice and resources and continually challenge them to act with courage, empathy and honesty. Originally from Mississauga, ON, Kabir Nadkarni (McCall MacBain Loran Scholar ’14) chose to explore a different part of Canada and study Engineering Physics (Co-op) at the University of Alberta. When he first met his mentor Chris Lumb, CEO of start-up incubator TEC Edmonton, Kabir was struck by what a phenomenal connector Chris was within the community. Before becoming CEO of TEC Edmonton, Chris was the CEO of Micralyne Inc. He sits on the boards of CMC Microsystems, CANARIE Inc., and Argus Machine. He is also a former board member for various tech organizations including Startup Edmonton. His experience in entrepreneurship and constant support were invaluable to Kabir as he pursued his own entrepreneurial work in the Edmonton community. 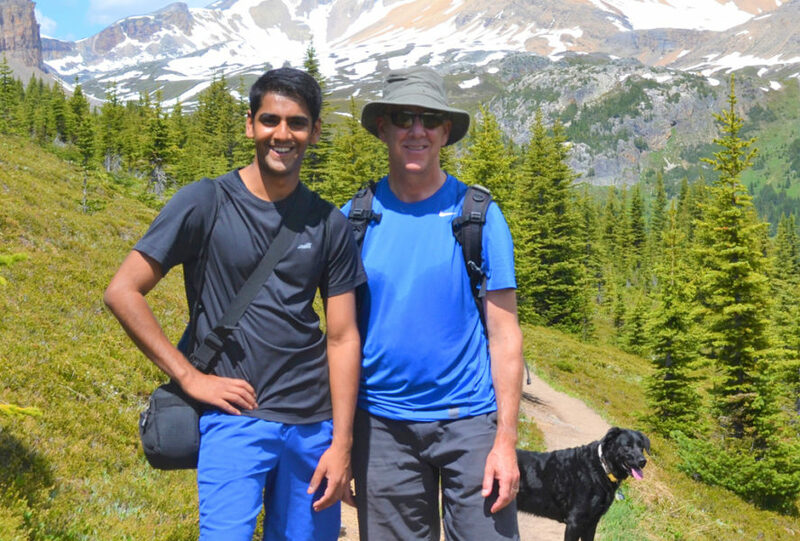 Chris helped Kabir weigh his final summer internship options and, in the end, choose to work in electricity and renewable energy policy at the Pembina Institute in Calgary. During his time at the University of Alberta, Kabir has been Chair of the City Planning and Infrastructure Subcommittee on the City of Edmonton’s Youth Council and conducted undergraduate research at the National Institute for Nanotechnology. He was the undergraduate Engineering representative for the General Faculties Council on campus where, with Chris’ help, Kabir advocated for large-scale curriculum changes to better reflect the needs of students. LORAN, short for Long-Range Aid to Navigation, is a system that uses three points (for us, our values of character, service and leadership) to determine one's course for a long journey. The name emphasizes the lifelong impact and values of being a Loran Scholar.